As you probably already know, termites can absolutely destroy the value of a home if they are not treated like the threat they are. The way to mitigate the risk of termite damage is by getting a termite treatment, often called a “termite barrier”. Termite barriers are used where there is either an active termite infestation or where there is potential for one. If termites are found, an approved liquid termiticide will be treated around the house. The liquid will dry up, but remain in the soil and will continue to ward off termites in the future. Typically there are two main types of chemical barriers that are available for use in the area, which are non- repellent and repellent. The first type of chemical termite barrier is known as non-repellent. This means that it is designed to eliminate the colony without the termites even realizing that it’s around. This often happens by termites walking through the product, spreading it around the colony, and infecting the rest of the hive. This is a quick solution where termites are present and has been used around the world to take care of termite issues. There are a few things to know about choosing to use a repellent barrier. They are fairly easy to apply and have been shown to be an effective way to ward off termites and enjoy long-term termite protection. The most common repellent is called Bifenthrin, which either kills or pushes away the termites from around your home. It is extremely important to ensure that there are no active termites around the house before using this type of chemical barrier. Imagine the damage that would ensue if termites couldn’t even leave the home because they were being continually pushed in! In short, repellent barriers have been around for decades and are a pretty straight forward way to keep termites at bay. There are a few considerations to take when your professional termite inspector comes out to your home. First of all, if they find termites, a solution will be discussed on how to best get rid of them and in a quick manner. If you do have termites, it’s imperative to take care of the problem as soon as possible. Your inspector will run through the options with you as soon as he finds signs of an active termite colony. We’ll keep a few factors in mind when recommending the proper course of action. Soil type, slope, moisture, and other things must be fully considered in order to provide the best termite protection. This is why it’s so imperative to hire a professional to come out when you see the first sign of termites. Attempting to treat and monitor termite activity by yourself if you are not fully trained is a bad idea, one that could result in a heavier cost of treatment in the future. One of the first, and most obvious ways of treating for termites is by drilling holes through the concrete and placing termiticide therein. You may have seen these circles (a few centimeters in diameter) while visiting family or friends. This doesn’t mean that they have an active termite infestation. On the perimeter of the building, trenching may be needed. This is effectively a soil treatment that the termites come into contact with before they are able to reach the house. Another option requires small pipes to be installed around the house, which can release products later in the future. 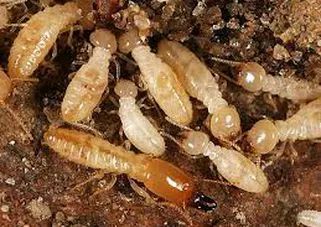 No matter what treatment option your termite inspector recommends, you can be confident that it’s the best way to get rid of termites now and in the future. 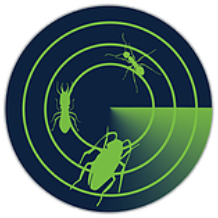 Each technician must qualified through rigorous training and licensing in order to perform any pest control treatments. Give us a call today to say goodbye to termites for good.